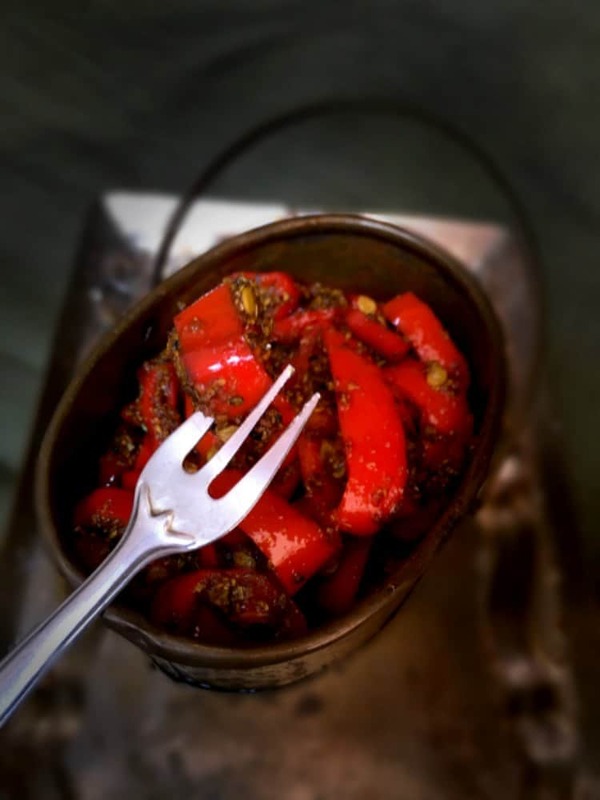 Instant Red Chili Pickle (Indian Style): Step by Step process to make this famous North Indian pickle which is also known as ‘Lal Mirch ka Achar’. 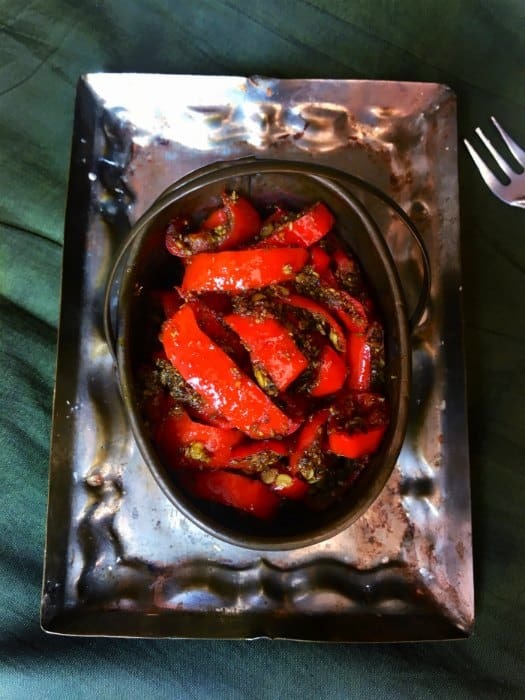 It’s hot, spicy, ready in 5 minutes and can be stored in the fridge for up to a month. 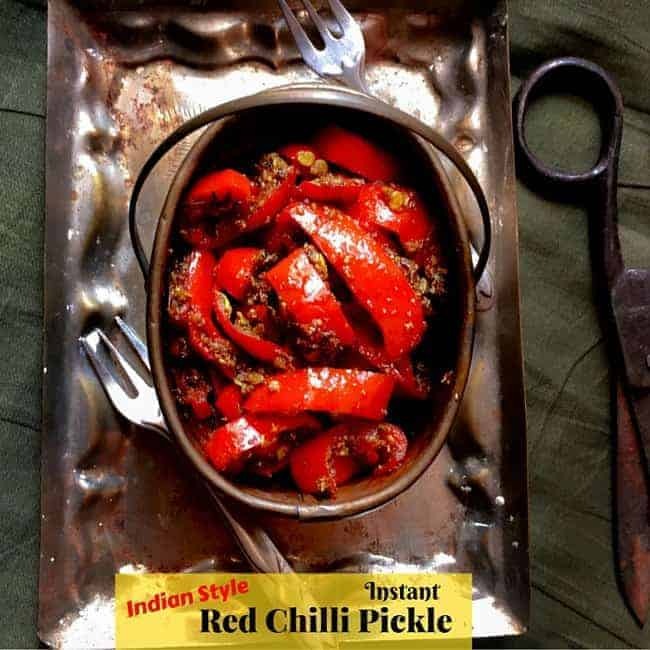 Try this Instant Red Chili Pickle with any snack/entree or with your favorite Indian Flatbread. I’m in India for a few days of vacation which is a combination of a friend’s wedding, family + friends meet-ups, shopping, eating out and copious amounts of food made by mom. Or as it’s lovingly known worldwide ‘Maa ke Haathon ka Khana’ which is ALWAYS the highlight for all us kids living away from them. Homecooked meals by mom, even a simple buttered toast or a plain flatbread (paratha) made by her is filled with soooooo much love and care that it’s just beyond any meal served anywhere in the world. Hence we always say there’s ‘Magic in their Hands‘!!! 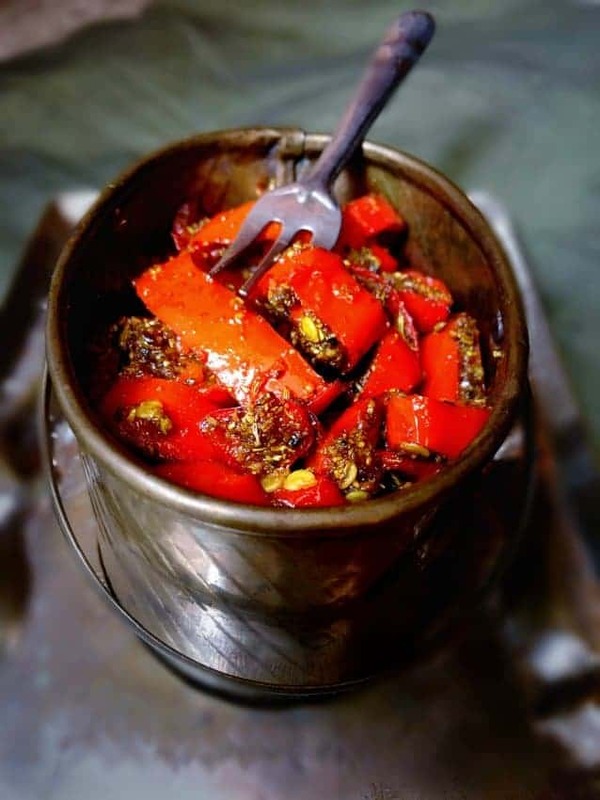 So lets get back to the Achaar/ Instant Red Chili Pickle 😉 which is absolutely droooooooliscious and her recipe! My mom is pretty famous in our family for her cooking and hospitality, you’ll never leave empty-stomach and empty-handed from their house. Well, that’s mom and even after all this, she’s ever smiling and ready with a new recipe. So this time, when I reached my parents home, I was welcomed with my favorite recipes cooked by her (4 A.M – India Time). And an almost verbal list of recipes she has planned for me during the coming weeks…so that’s the kind love and excitement we have with food+family. Our discussion for the rest of the day continued about flight food, wedding preparations and calling cousins. It was an 8 days hectic, crazy and fun activities and now I’m back to spending time with close friend’s and family. So after all this, the first thing that I really missed having was pickle made by Mom and you just need to casually mention it to her. And before you could say anything else, she has already instructed the local organic grocer to send us some of his best Red Chilies/Lal-Mirch. HUGE – Bright Red in color and just became available in the market (Beginning of summer is the time for all these bright fruits n veggies in India). Provided I don’t poke my fingers in my eyes after touching the chilies (can you believe she still thinks I’m gonna do that …..
– One is where you stuff the entire chili with pickle spices and fry and keep in sun for it to process eventually. So, this is the Instant Pickle which takes about 5 minutes to make and can be served right after it’s prepared. After, we thoroughly cleaned the chilies, we pat them dry using a paper towel or clean cloth (make sure the chilies are absolutely dry when you start mixing spices). Then, you simply cut them into the desired size (thin/huge) and mix the homemade pickle-mix. Toss everything together and lightly saute in mustard oil. You may use Sesame Seed Oil but I Still recommend making pickles in Mustard oil as it adds to the spicy/tangy flavor. Some of you may worry looking at the extreme red color of the chilies, but the pickle can be made almost as mild as you want, just remove the seeds. 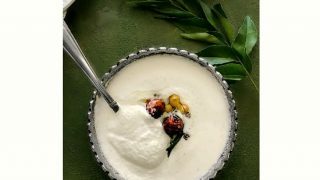 Once, the pickle was ready, we absolutely gorged on it with some hot potato flatbread and fresh curd, which is a typical Delhi Breakfast for you and can keep you going for a good half day. I hope you really like this recipe and try it soon. (If you’re unable to find red chilies, you may use big green chilies or medium green chilies for the same). 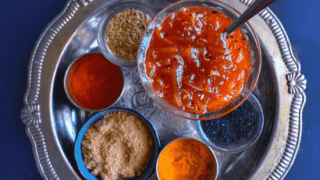 Instant Indian Red Chili Pickle: Step by Step process of an absolute famous pickle from North India, which is also known as 'Lal Mirch ka Achaar'. In a medium wok/pan, heat the mustard oil till you see fumes rising from it (takes about a minute on high flames). Close the heat and keep the oil aside to cool down (this process is very important as it removes the pungent mustard smell/taste from the oil). 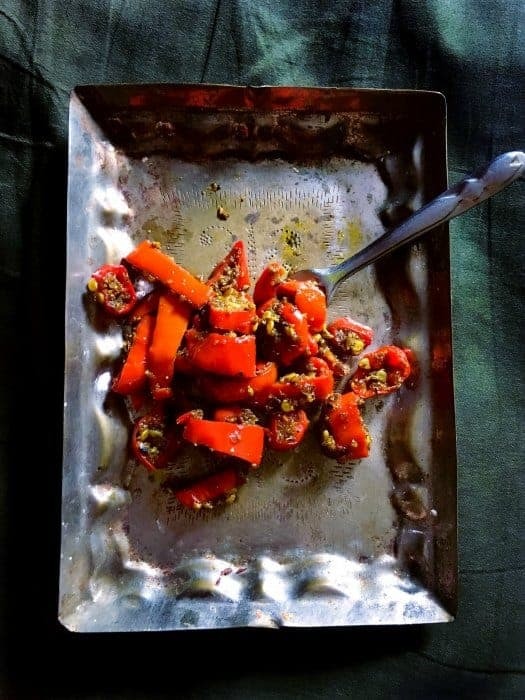 Cut pre-washed and dried chilies (cut them into any size or shape of choice) and keep aside. In a small pan, roast fenugreek seeds on low flame for a minute (till they slightly change color). Add, the remaining pickle-spice mix and roast all the seeds for another minute and turn off the heat. Cool down the roasted spices and then powder them using a mortar pestle or using an electric grinder (we need a smooth powder consistency). Now, mix the powdered spices, cut chilies, salt, red chili, amchur and toss everything together. Heat the cooled down oil (for 1/2 minute) and add this mixture. Saute the mixture in oil for about 2 minutes and then turn off the heat. The pickle is ready to eat now or you can store it in a clean, dry bottle for upto a month in fridge. 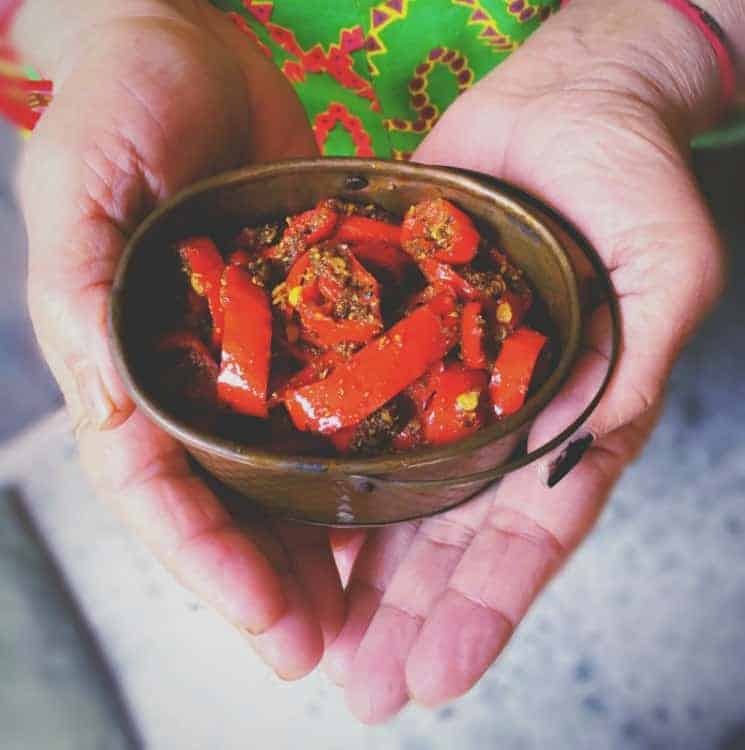 24 Replies to "Instant Indian Red Chili Pickle | Lal Mirch ka Achar"
These look so easy to make, that I will even give them a shot since I haven’t made pickles (or been my mum’s assistant) in more than 10 years. I’m looking forward to the wedding post to see the array of colorful dishes served up. These look beautiful and I can imagine that they’re so fragrant with those beautiful spices. I, too, have never used Mustard Oil, but I’m really intrigued and am going to look for it in my market! Thanks Amanda, Mustard Oil does take a lil to get used to the taste, but definitely go ahead and give it a try – It’s perfect for cooking meat n pickles. Wow, this is so vibrant and delicious. And I love the fact that it’s simple too. 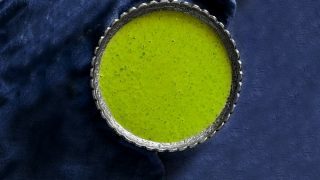 I usually give up on making pickles at home, but this recipe is a must try. I am trying this soon. 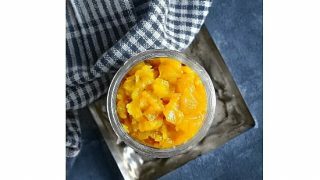 Thanks Deepika, I too hate spending time making pickles as they are kind of tedious, but this one is absolutely quick n taste awesome. Do give it a try. We have a Southern version of relish called chow chow that I love to eat as an accent to dishes. I bet this would be the very same concept. Can’t wait to try! Chow Chow sounds yum too, Thanks n Glad you liked this recipe of Pickle. Love your pickle recipe simple and different from my moms recipe . Mother cooking is always best in the world. I feel the same way Molly. So True Uma, Mom’s cooking is the best – Glad you liked the recipe. I love pickle and chili pickle sounds so tempting. Will give this recipe a try. Oh to be invited to your mom’s place for dinner! I’d want to be assistant chef too to learn all her secrets haha. These sound delicious, especially being cooked in mustard oil. NEVER heard of that before, so wondering if we can get it here in Australia? Good thing we have some delicious Indian grocers within driving distance – I’ve been looking for an excuse to head out to one so this is perfect. Thanks! It’s hard to beat mom’s cooking. These look so yummy! And I love how quick they are to make. This sounds really spicy but I can just imaging how delicious it must taste! 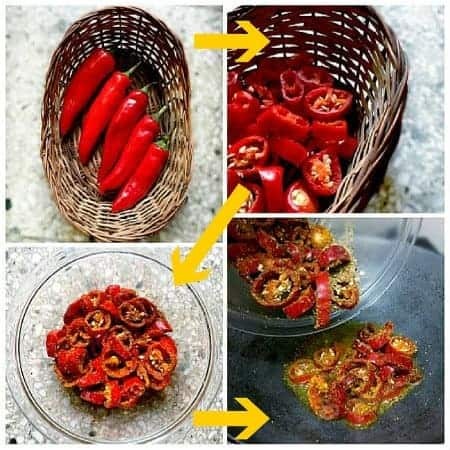 For the record, my husband has rubbed his eyes after chopping fresh chillis and boy did he suffer for it..
Hehehhe, thanks Ginger, I can so sympathize with your husband, as I’ve done something similar in past and it was quite an incident. The way you described your mom I felt that you are describing my grandma… lol Food in my family means caring!! Wow this looks so yummy and vibrant and I love how easy it is to make!! Thanks for sharing! What a beautiful post, Molly. I can feel the love you have for your Mom through your words. I’m also my mother’s child when it comes to cooking – such wonderful memories of being instructed by her (and ignoring… lol). How awesome it is to have this time with her. You are right to cherish this time!